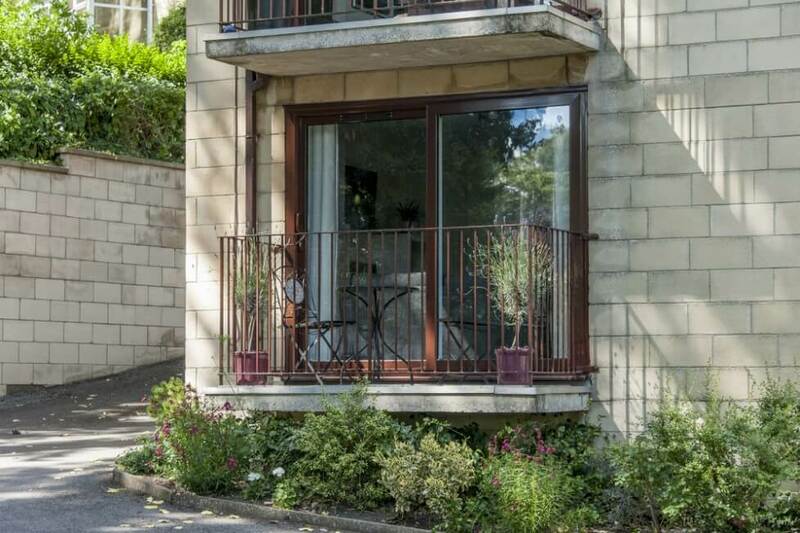 Hedgemead Court is our luxury, family-owned 2 bedroom apartment in Bath city centre. Located just a short walk from Bath Abbey, The Roman Baths and Thermae Spa, our award-winning 4-star Gold apartment is the perfect home away from home for holidays in Bath. 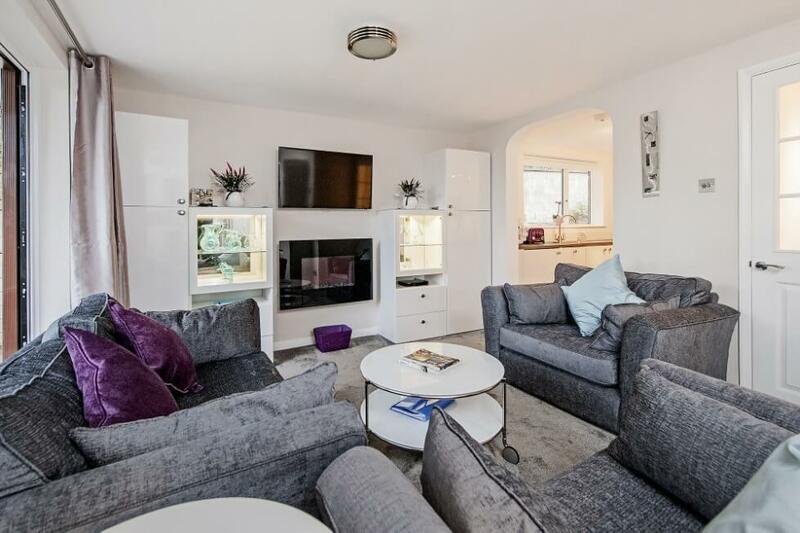 Enjoy free WiFi, free private parking and a 46″ Smart TV as well as 10% off when you book direct. 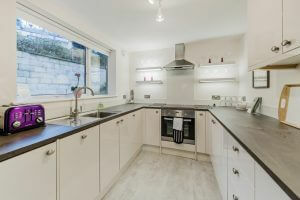 Hedgemead Court is Ann and Michael‘s newly-renovated Bath city centre apartment. You can visit Bath’s best attractions within a few minutes’ walk as the apartment is just a stone’s throw from Walcot Street artisan quarter and the Bath Abbey. Furthermore, from the ground floor balcony you have views across the adjacent 5-acre Hedgemead Park and down Walcot Street. Inside the apartment the interior is light, spacious and modern. 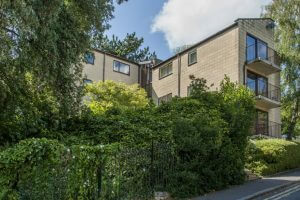 2 Hedgemead Court is easy to reach with on-site private parking directly outside; a rarity in Bath city centre! 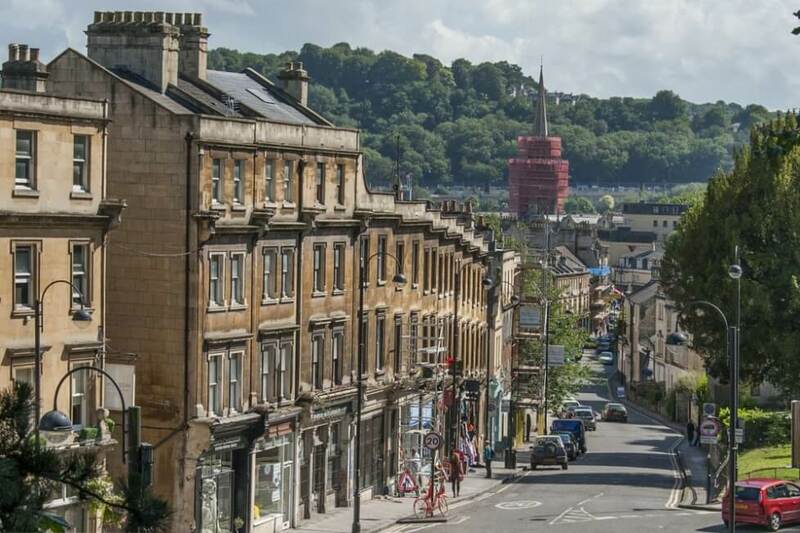 You’ll stay at the top of Walcot Street’s artisan quarter, which is full of vibrant independent shops, only a stroll from Bath Abbey and numerous restaurants. Most of all our holiday let is a great alternative to hotels for those wanting a space of their own, on business or for pleasure. 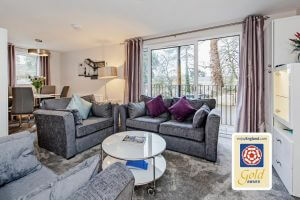 Family owners Ann and Michael, with the help of Nikki, have transformed Hedgemead Court into a contemporary self catering apartment with luxury finishes throughout. The large open-plan kitchen leads to a living/dining area dressed in chic grey and deep purples. There is a realistic wall hung fire and 46 inch TV, comfortable Schreiber sofa and snuggler seats. Guests can watch Netflix, play DVDs or make use of the iPod dock so you can relax in style when it’s rainy outside. On a good day you can have a drink on the private balcony, taking in the view of the park and Bath city centre. 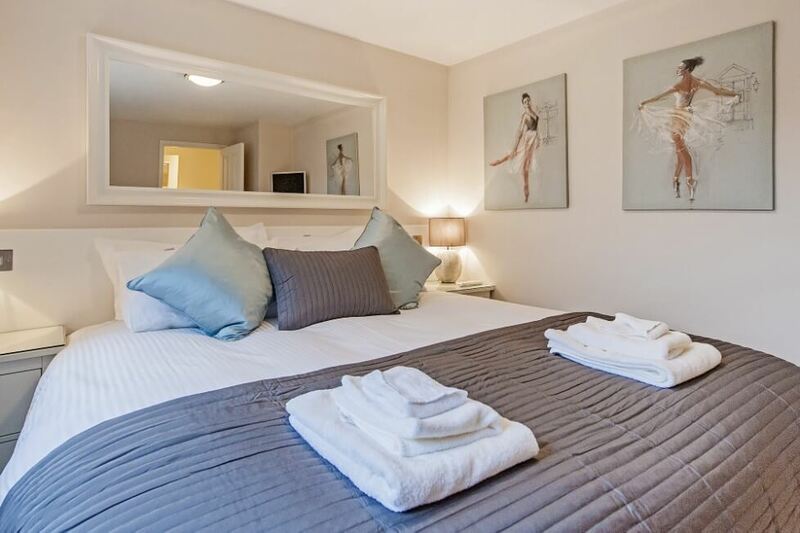 Both bedrooms have large, king-sized 1200 pocket spring beds, which can also be made up as twins. There is plenty of wardrobe space and all Egyptian cotton linen and towels are supplied. The bathroom is spacious with a drench shower and roll top claw bath. Hence why 2 Hedgemead Court is your ideal home away from home! Hedgemead Court is well-located for many attractions. Guests can easily access walks along the Kennet and Avon Canal or the Bath Skyline. It’s only a short drive to Longleat, Lacock or down to Stone Henge, one of the world’s natural wonders. 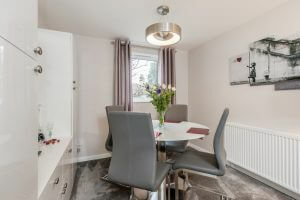 With good access to the M4, journeys along the Great West Way through the Cotswolds Area of Outstanding Natural Beauty and beyond towards London and the East are convenient as well. For inspiration about things to do, we’ve added a welcome pack to the apartment with some of our favourite picks. If you have any questions, please give us a call. Book your holiday at Hedgemead Court direct and we will give you 10% off your stay! You’ll also be given the Bath Reward Card when you arrive, which gives you discounts at restaurants, cafés and attractions across Bath. It also includes deals with the Thermae Spa, so you can relax in luxury for less. 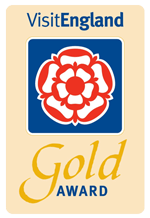 We’re a proud winner of the ‘Best UK Self-Catering Apartment’ in the Corporate Travel Guide Awards 2017 and the overall winner of ‘Best UK Self-Catering’ in 2016’s Luxury Travel Guide. 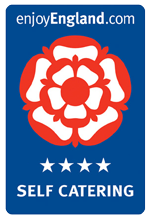 Hedgemead Court is also Rated Excellent on TripAdvisor, carries a 9.7 Rating on Booking.com and we’ve been awarded the rare Visit England 4-Star Gold Award for service and welcome. Book your stay and see why people fall in love with Hedgemead Court in Bath! 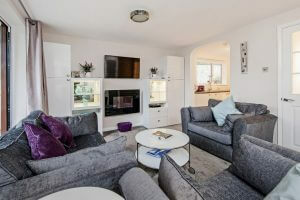 Hedgemead Court is proudly part of the Bathcitycentre.com Portfolio. Location: Bath city centre (within 700 yards of the Roman Baths). Sleeps: 4 guests. There is also room for a baby in a travel cot (not provided). 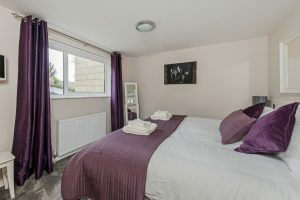 Bedrooms: 2 Super king double or twin bedrooms. Comfy 1200 pocket spring mattresses and luxury Egyptian cotton linen for that guaranteed good night's sleep. 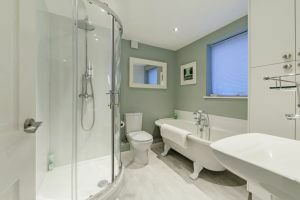 Bathrooms: Large modern bathroom with Victorian claw bath and separate drench shower. Kitchen: Brand new with integrated dishwasher, induction hob, electric oven, microwave, washing machine, coffee machine and more. We also provide enough coffee, tea, milk, cleaning materials and toiletries to keep you going. Entertainment: 46" TV, Netflix and iPod docking station in the living room. Additional flat screen TVs in both bedrooms. Outside: Private balcony to enjoy the view of the park and the city. General Points: 2 Hedgemead Court is our Bath city centre apartment ideal for romantic weekends, family retreats, special times away or for business visits. Designed with the discerning and discriminating traveller in mind. 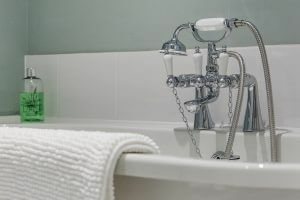 2 Hedgemead Court offers a place to unwind and relax after your day in Bath in luxury self-catering. 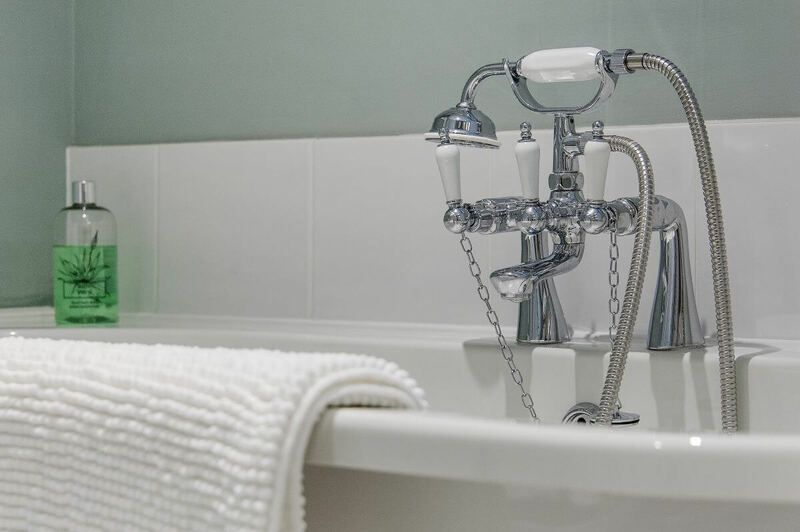 All utilities, hotel-grade luxury linen and towels are provided. Train Station: Bath Spa station is 5 minutes by taxi or 20 minutes on foot. Airport: Bristol Airport 20 miles away, 35 minutes by car. Food Stores: Julian Road Co-op (5 minutes walk) and Waitrose supermarket just 10 minutes' walk to the Podium. Local Pub/Restaurant: Numerous pubs and restaurants nearby, Bath City centre just 700 yards away. Very rare to be so close to Bath city centre with parking. 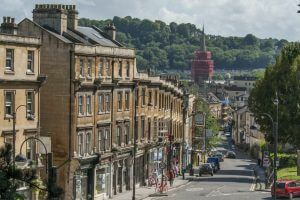 At the top of Walcot Street, in the Artisan quarter, just 700 yards from Bath City Centre. You can walk into Bath along Walcot Street, full of independent shops and interesting restaurants. Bath Abbey, Thermae Bath Spa and the Roman Baths are all close by. Longleat, Lacock, Prior Park, the Saxon town of Bradford upon Avon are all within easy travelling distance. The University and Bath Golf Club are 5 minutes away by car. 10% off when you book direct. No hidden costs. If Hedgemead Court is unavailable for your dates, why not try booking our multi-award winning apartment The Old Smithy Loft? 5-night and weekly rate special offers are available. Please call Nikki on +44(0)7762191161 or email our family team at holidays@tuckingmill.com. Payment: We accept all major credit and debit cards. Our full terms and conditions can be read on our website.